If it is online poker betting players look for, then they will absolutely find it on Fun Casino. This Bitcoin-powered casino is jam-packed with the finest set of gambling services and features, including those essential to provide a premium poker gambling experience every poker enthusiast wishes for on the web. Although still new on the Bitcoin gambling scene, having only been launched in April 2014, this casino definitely possesses outstanding factors that will truly aid it in attracting casino enthusiasts, especially Bitcoin poker aficionados. Therefore, Fun Casino surely deserves poker bettors’ attention, even those who are still entertaining the thought of indulging in the lucrative and thrilling world of poker betting. One aspect that must be cleared, however, is that this casino does not feature an online poker room, where players can compete against other poker players based from other parts of the world. Instead, this Bitcoin casino offers Bitcoin poker games that can be accessed right in the web browser, allowing for instant gaming. Therefore, this online casino is certainly a sure winner among novice poker players because they can enjoy playing this popular card game and master their betting skills without the intimidating attitude exuded by seasoned players. Moreover, they can freely select their preferred poker game variant from the casino game library and play Bitcoin poker against the dealer. 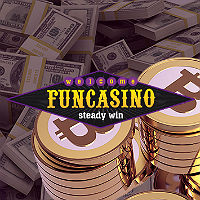 Fun Casino features a range of poker games designed in the Bitcoin casino platform. The game variants available here are Texas Hold’em, Trey Poker, Caribbean Poker, Casino Hold’em, Let it Ride, and Oasis Poker. Through these games, online poker players are assured of having a great time because these are all powered by the SoftSwiss software. For those who are unaware of it, SoftSwiss is among the leading online casino gaming software providers, and has already developed its own Bitcoin casino software. It uses state-of-the-art technology in the production of games as well as that of its system. 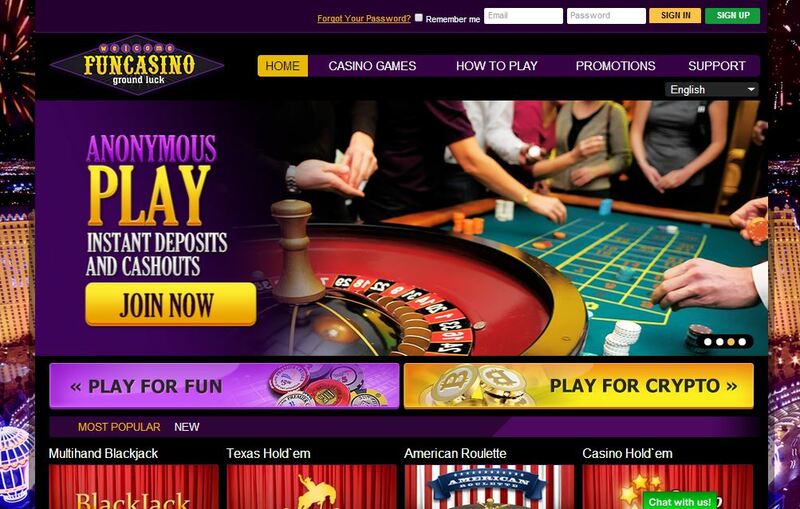 Thus, this Bitcoin casino definitely offers seamless operations and performance. Paired with cutting-edge technologies, this online casino also achieves to provide efficient and reliable payment methods, addressing the common demands of poker enthusiasts on the web. Players can easily fund their betting account with bitcoins or even litecoins or withdraw amounts without the usual hassle prevalent in traditional online casinos. It should be noted that cash outs amounting to 5 BTC or less qualifies for automatic withdrawals; however, bigger amounts will have to be processed manually, which may result in a waiting period of up to 24 working hours. On a different note, Fun Casino also offers an attractive set of deposit bonuses for new players. Upon placing their first-ever deposit, they qualify for the 100% First Deposit Bonus. Meanwhile, their second deposit will earn them a 50% bonus and another 25% on their third funding. Despite the fact that this Bitcoin casino does not exactly target seasoned poker aficionados, given the absence of real-time poker room betting, it is still one of the better Bitcoin gambling venues online. Thus, it would not be a surprise if this casino becomes a hit among fans of poker.